The training squad for our upcoming game vs Belgium has been announced. The squad has a great balance of youth and experience, along with players who would hope to gain their first taste of international rugby. The players were put forward by their own clubs and will train together on Sunday July 5th (Venue TBC) where head coach Carl de Chenu will put them through their paces and pick his match day squad for the following week. RLI would like to say congratulations to all players who have made the squad and the best of luck to them in their upcoming match. 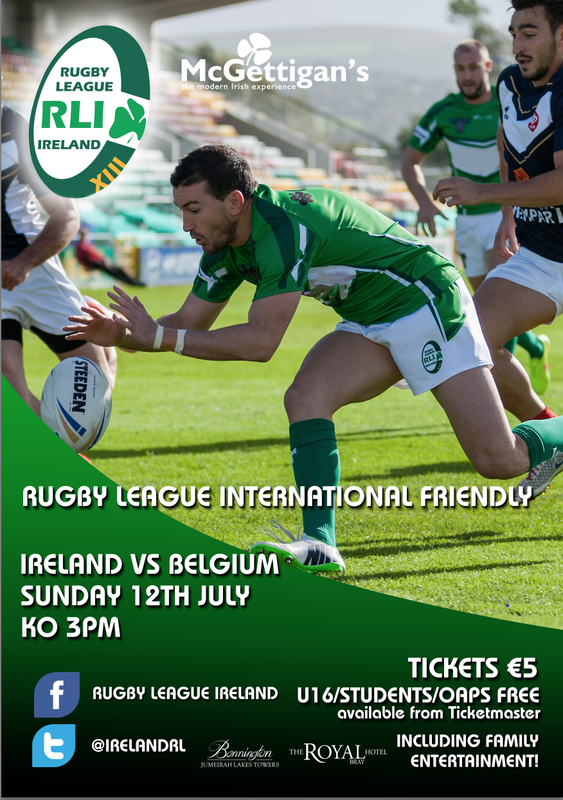 Ireland Vs Belgium takes place in the Carlisle grounds in Bray, Co. Wicklow. KO 3pm, Adult tickets are €5, kids u16/students/OAP's go free. Tickets are available on Ticketmaster.